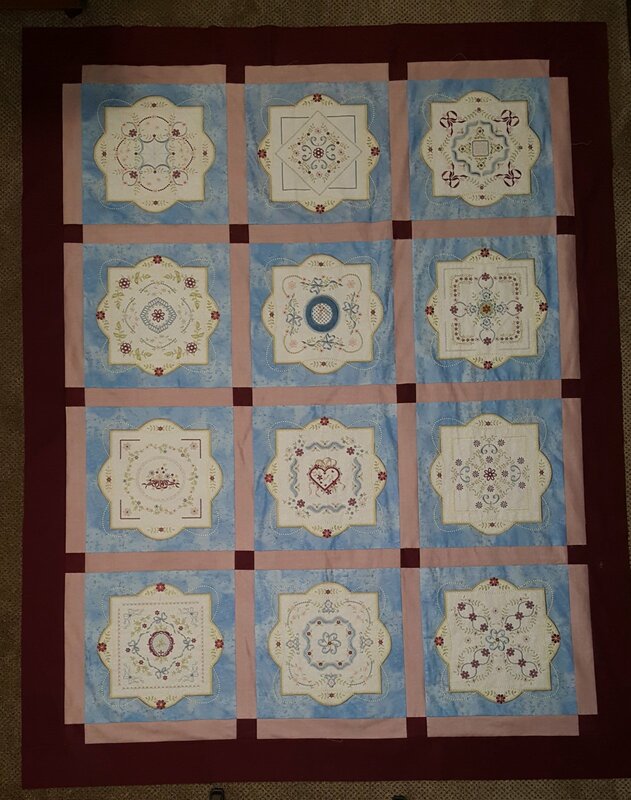 Using PEP software we will create and stitch out one of the prettiest quilts to come out in a long time. Designed by Shirley Rosenbrock (Cinnamon Serenade and Jacobean Jewels creator), this 12 block beauty will bring grace to any bedroom. This class will enhance your knowledge of PEP software in a practical way. We will use a base fabric, applique a second fabric on it and embroidery over the top of all of it. This will be a 12 month class. The first class of the month will be software/computer the second class will be embroidery/sewing machine. $35.00+ $5.00 fee per block, which will be waived if you come to class with the previous block stitched-out. *Registration fee includes the electronic copy of the workbook.